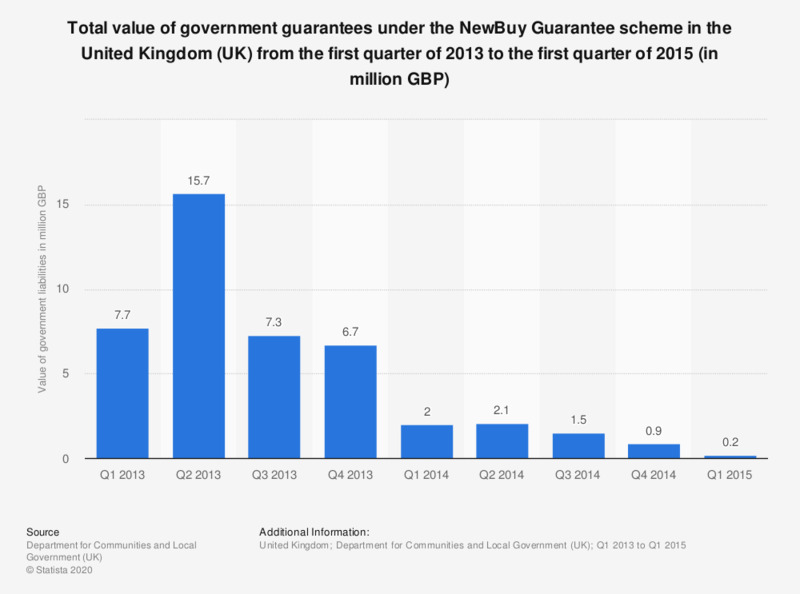 This statistic shows the quarterly values of the government guarantees granted under the New Buy Guarantee scheme in the United Kingdom (UK) from the first quarter of 2013 to the first quarter of 2015. The total value of government liability for the completed sales amounted to 0.2 million British pounds in the first quarter of 2015. More information about the NewBuy guarantee scheme is available here. In the next three months, are you planning to purchase a house or a flat?